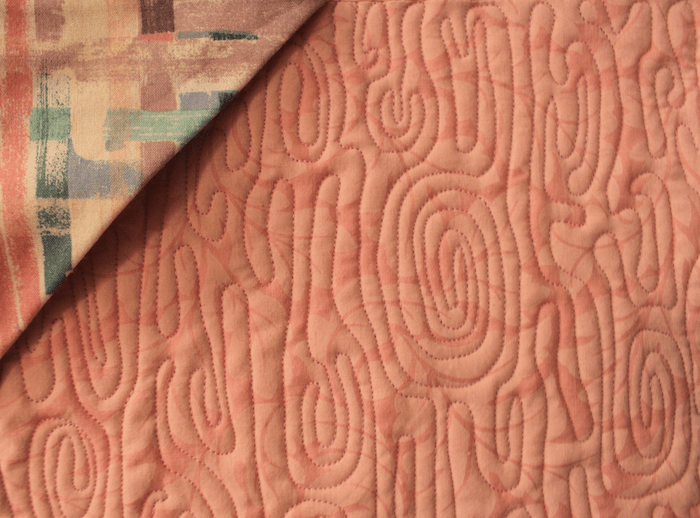 I decided that I one of my resolutions for 2015 was to improve my free motion quilting. So, I pulled out these large blocks and began. These blocks have been pieced for at least 3 years! 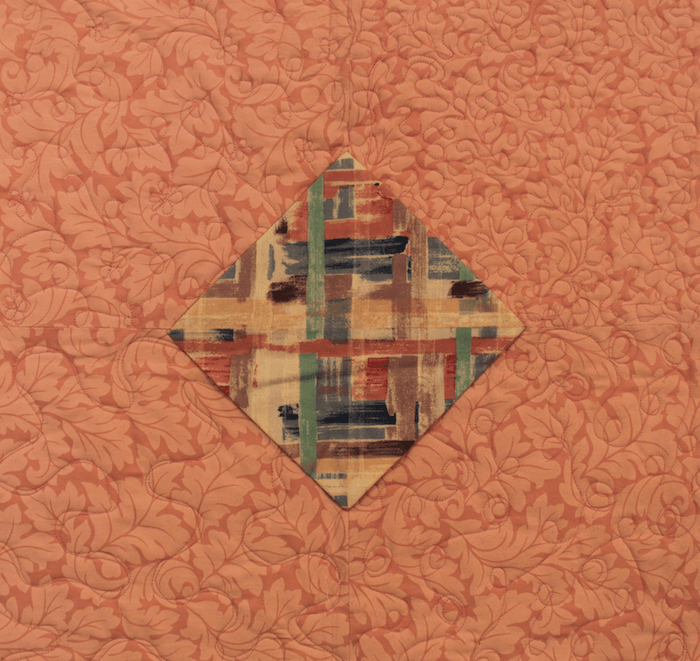 They are about 15 inches square with lots of space to practice free motion quilting. 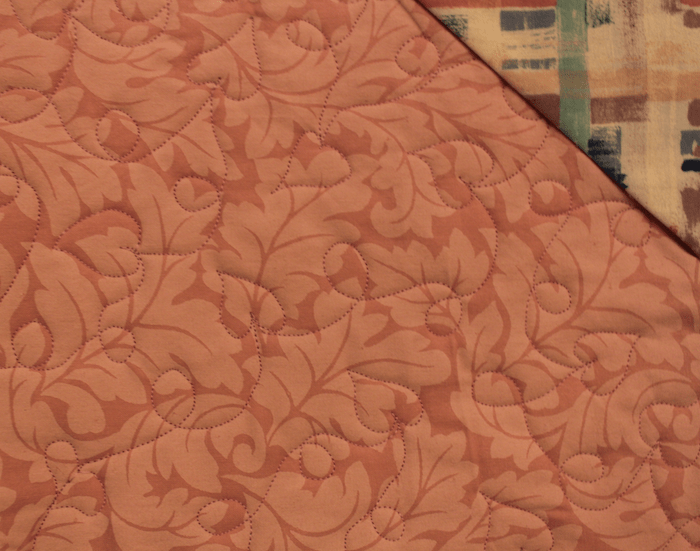 In the block above I quilted a different free motion design in each quadrant. 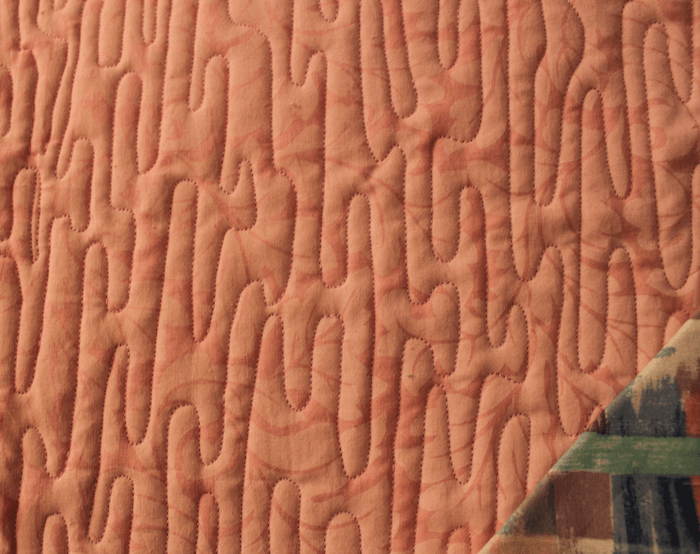 I am happy with the stitching. There is improvement with each quadrant I work on. The blocks are easy and quick to piece. I originally saw a demonstration at the Creative Festival in Toronto probably three years ago! I went straight home and made all the blocks. 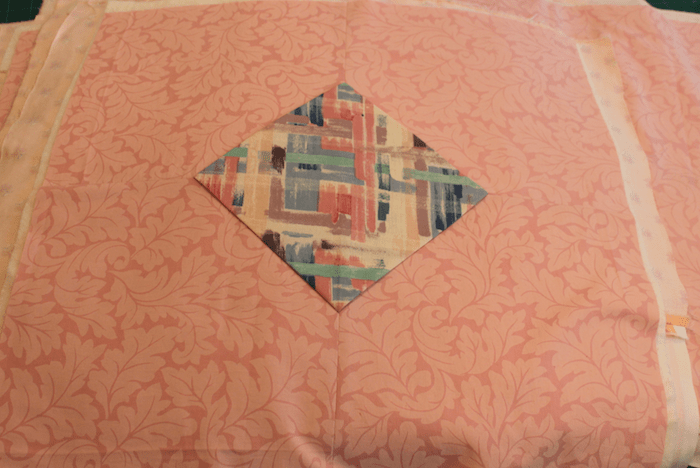 Suzanne McNeill has a YouTube tutorial that shows just how quickly you can piece these blocks. 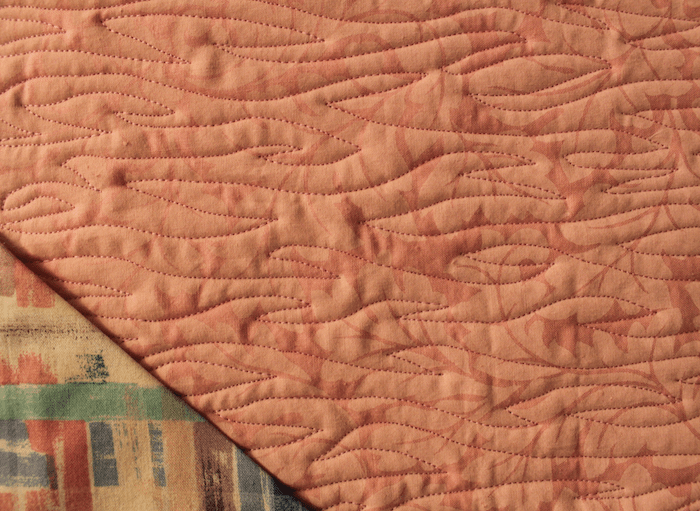 Six blocks are quilted only nine more to go. Did you make any resolutions for 2015?